Join them at Sbragia Family Vineyards for a very special library flight. 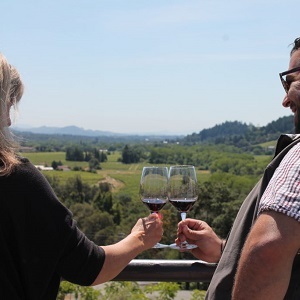 Taste a vertical of eight library vintages (2002- 2009) of their local Dry Creek Cabernet, Andolsen Vineyard with the winemakers themselves, Ed and Adam Sbragia in this special seated tasting. Learn about this fabulous vineyard and the age-ability of Dry Creek wines. Small bites will be prepared by their Chef to pair with the lineup.